I saw this recipe by Martha Stewart on Pinterest last month. It looked and sounded great but the first thing I thought was: that needs Gruyère. 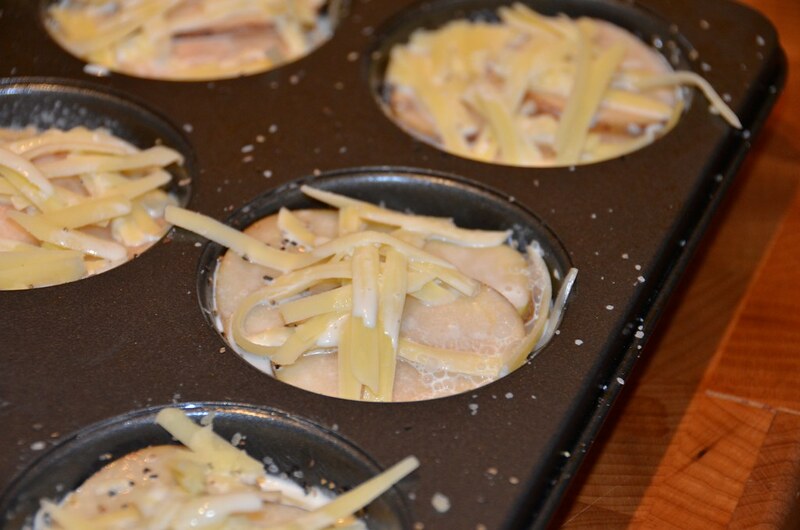 I’ve made these Muffin Pan Potato Gratins several times now and they go perfectly with beef, lamb, pork, chicken, and red wine. Ingredients: russet potatoes, a sweet onion, Gruyère, salt, pepper, and heavy cream. The amount of each ingredient will all depend on how many gratins you make. 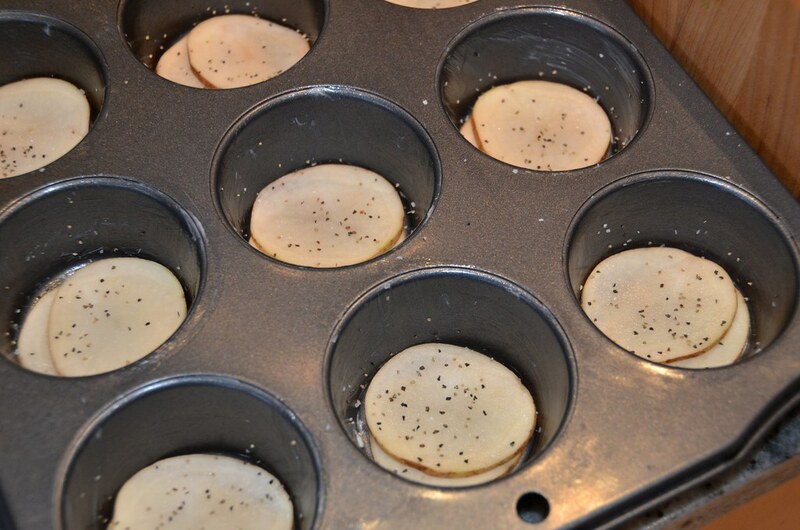 Plan on about 8 slices of potato per muffin cup. 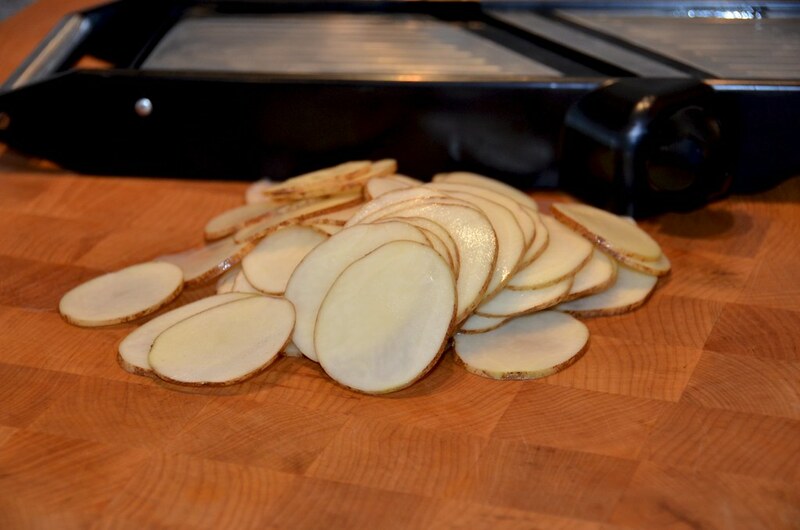 I use a mandoline because it’s fast, easy, and all the slices are the same size. 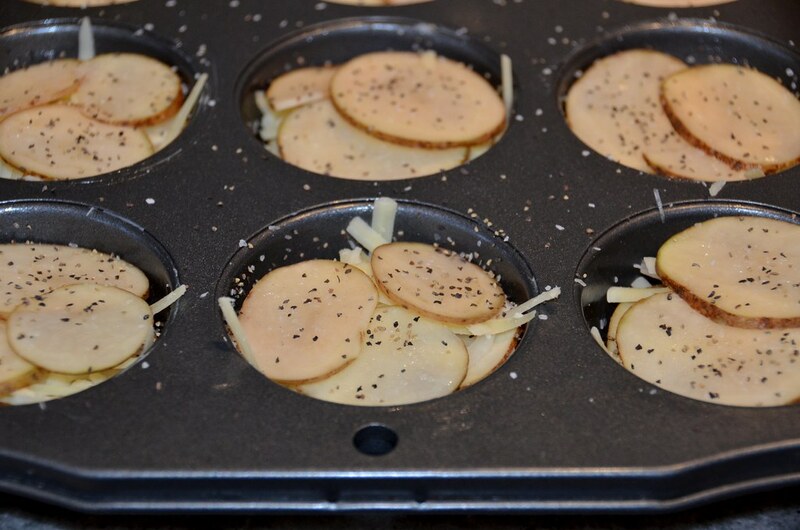 Long skinny potatoes work best for this recipe because they fit better in the muffin pan. When I can’t find long skinny russet potatoes I use small red potatoes. 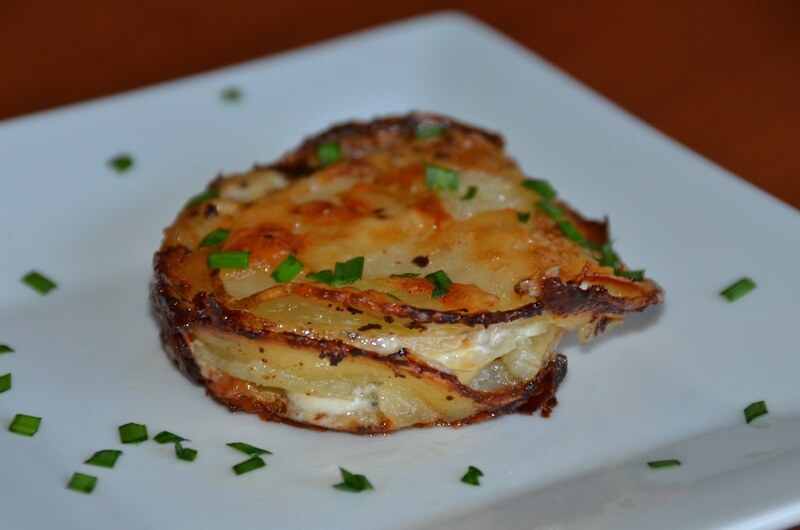 And now you’re ready to build the potato gratins. 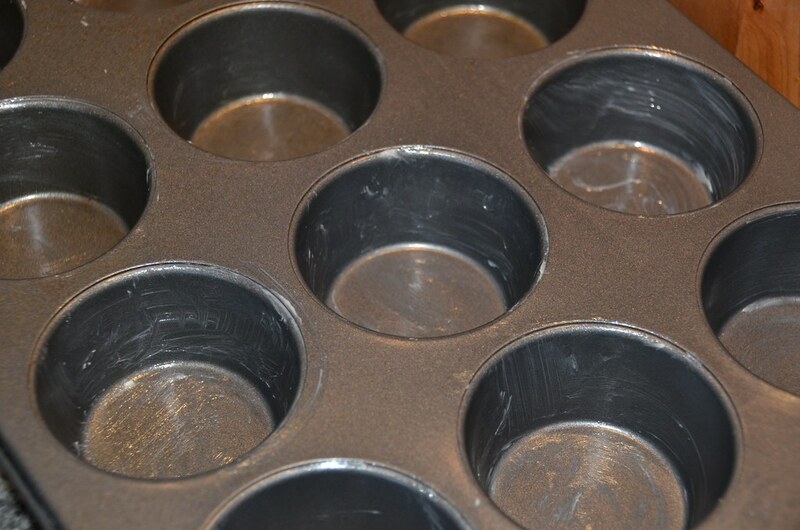 Grease the muffin pan with butter or cooking spray. 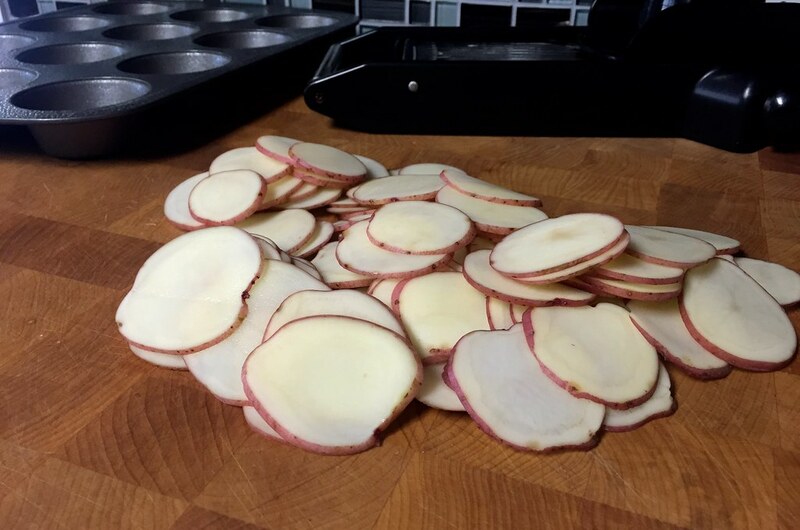 Place 2 slices of potato in each cup and season with salt and pepper. Use as much or as little as you want, or none at all for that matter. It’s all up to you. And then repeat the process: 2 slices of potato, salt and pepper, onion, Gruyère. Continue to layer the ingredients until the cups are filled. I like to finish the cups with a layer of potatoes and a sprinkle of cheese. 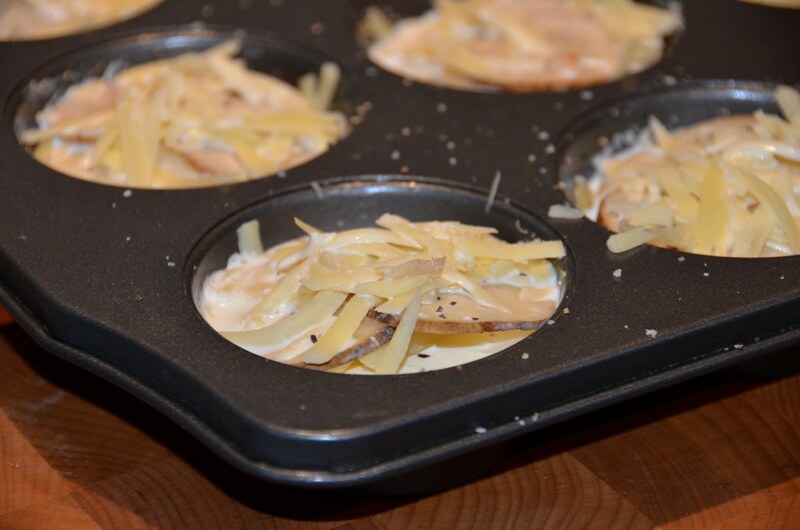 The more cream you use in each cup, the creamier the gratins will be. The less cream you use, the crispier the potatoes will be. I like to make a little bit of both. 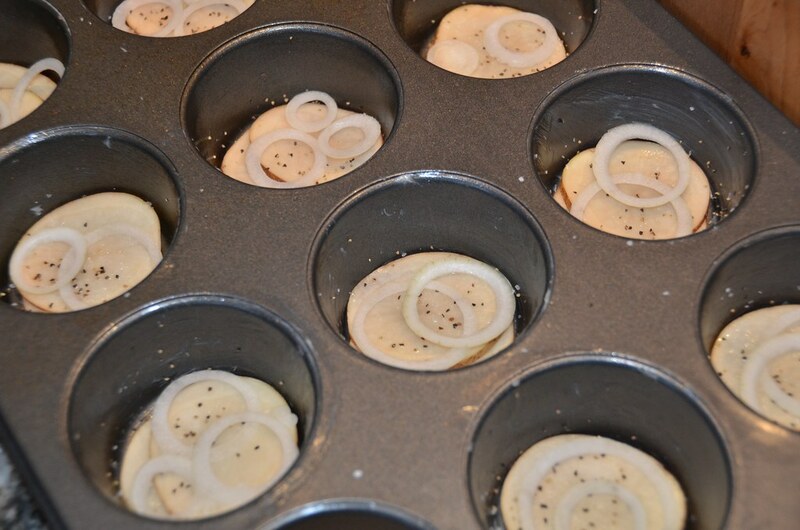 Bake in a 400F oven until the potatoes are cooked through, about 20-30 minutes. Let them rest for about 5-10 minutes so they can set. They are too hot to touch when they come out of the oven anyway. Now getting them out of the pan is the tricky part. Not impossible, not difficult, just tricky. Martha says “place a baking sheet or large plate over pan and invert to release gratins” but you see, Martha didn’t use Gruyère. I use a small spatula to get them out and it works 99% of the time. Sometimes they slide and don’t look as pretty, but who cares . . . they are delicious! Just remember to have fun with them. 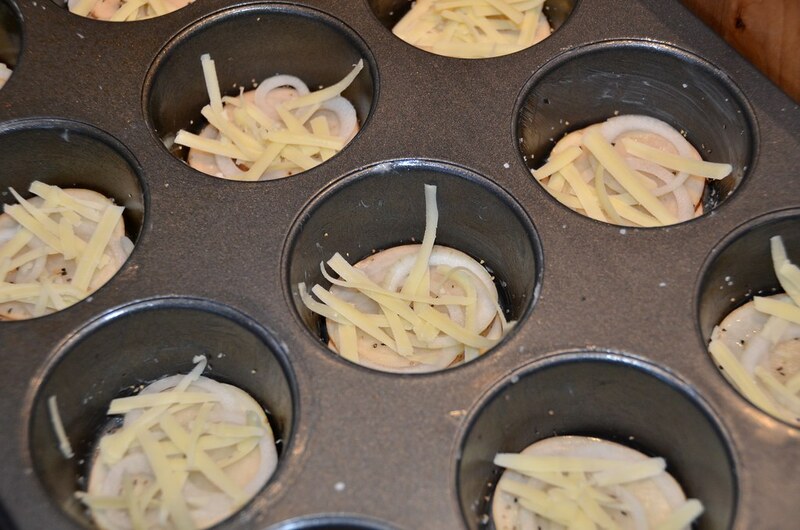 Use as much or as little onion, cheese, and cream as you like. If you want to use half and half, that’s okay too. 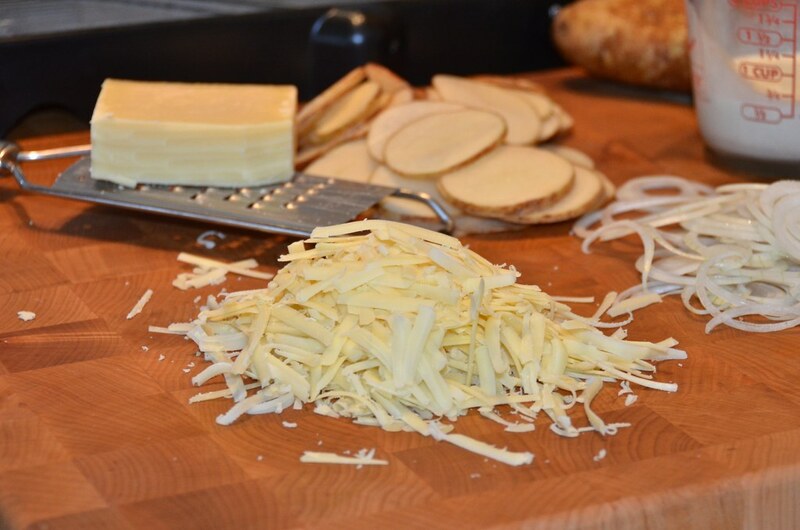 If you want to use a different cheese, go for it! 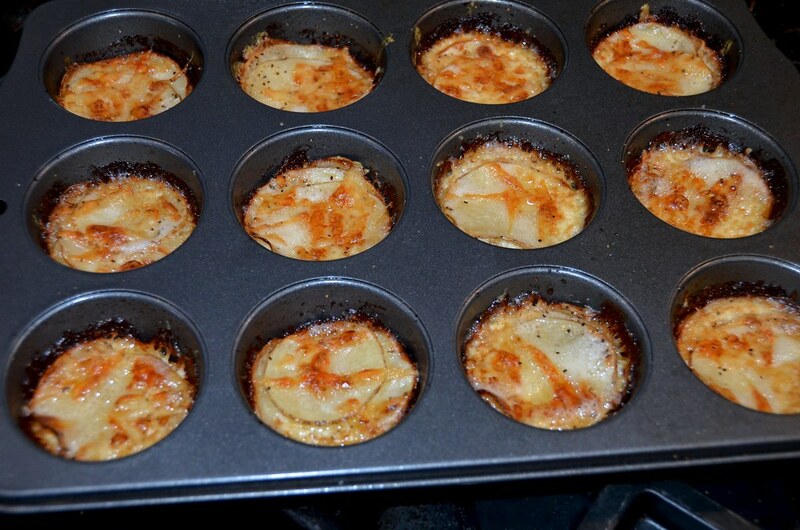 Please make these Muffin Pan Potato Gratins as soon as possible. The perfect side dish for beef, lamb, chicken, and pork. It's gluten free, too! The amount of each ingredient will all depend on how many gratins you make. 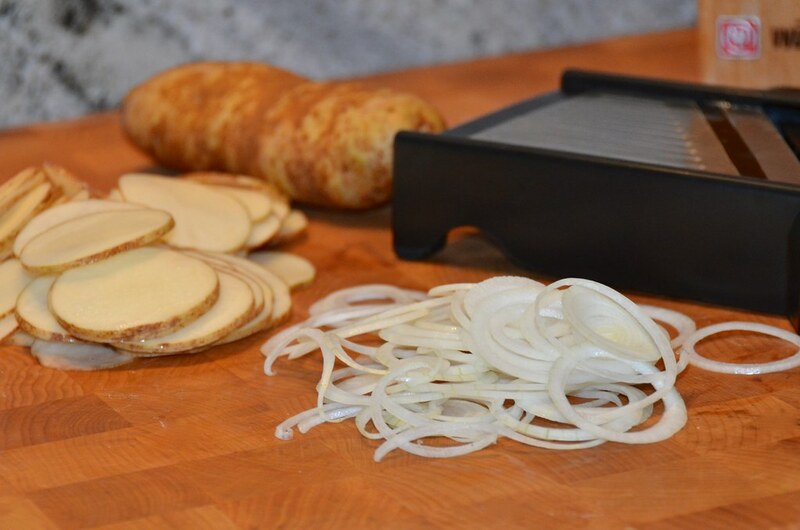 Thinly slice the potatoes. 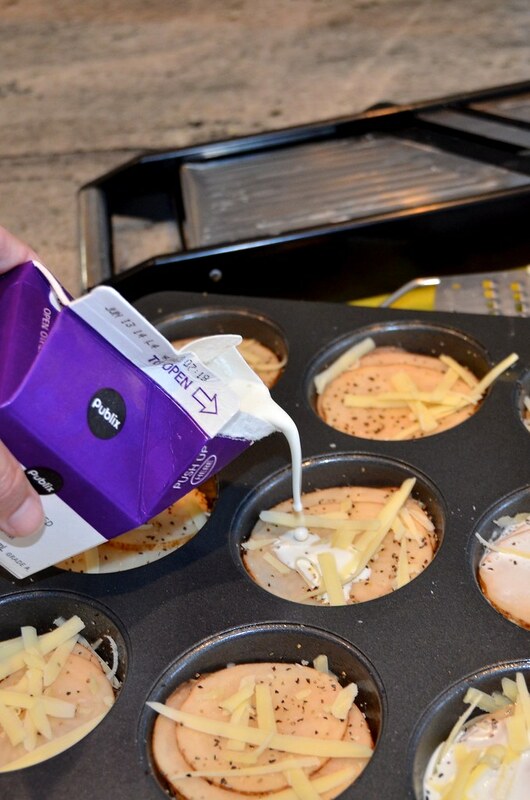 Plan on about 8 slices per muffin cup. 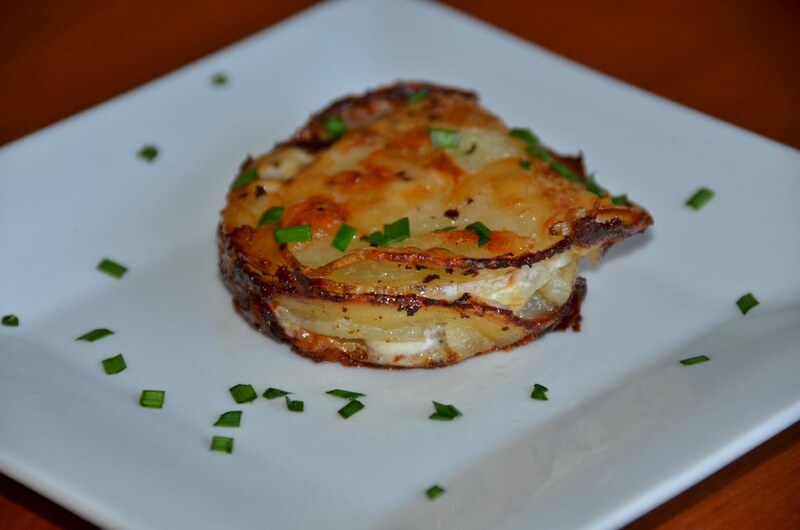 Top the potato slices with onion. Repeat the process and continue to layer the ingredients until cups are filled. 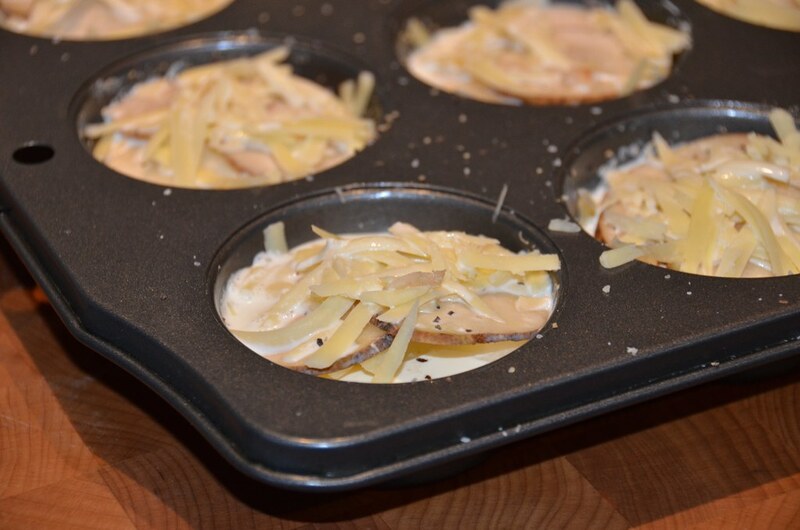 Finish the cups with a layer of potatoes and a sprinkle of cheese. Pour heavy cream over the potatoes. 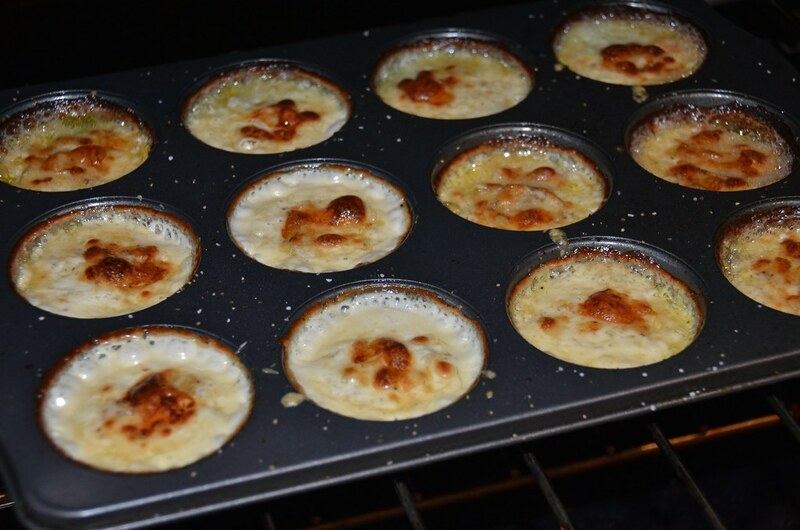 The more cream you use in each cup, the creamier the gratins will be. The less cream you use, the crispier the potatoes will be. Bake until the potatoes are cooked through, about 20-30 minutes. Let them rest for about 5 – 10 minutes so they can set. 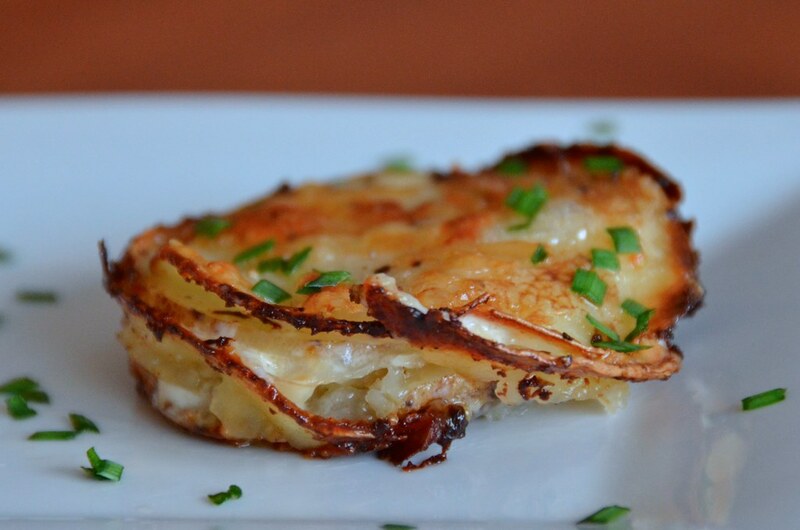 Run a thin knife around each gratin to loosen the potatoes. 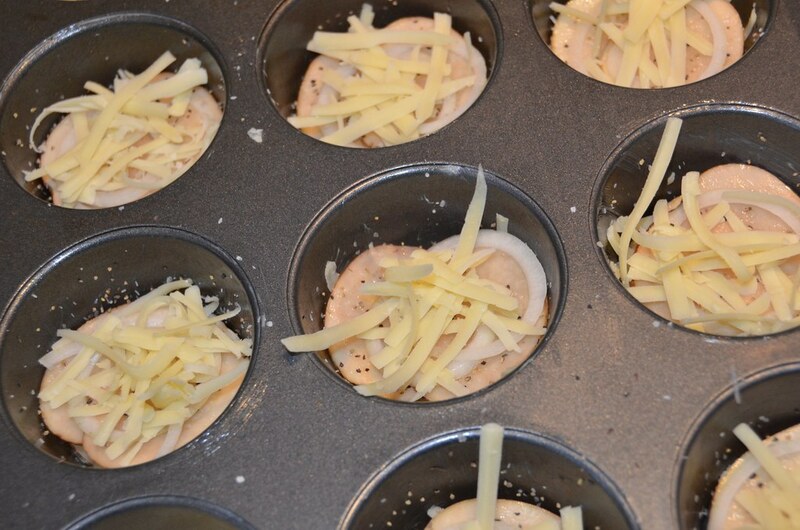 Use a small spatula or knife to remove the gratins from the muffin pan. 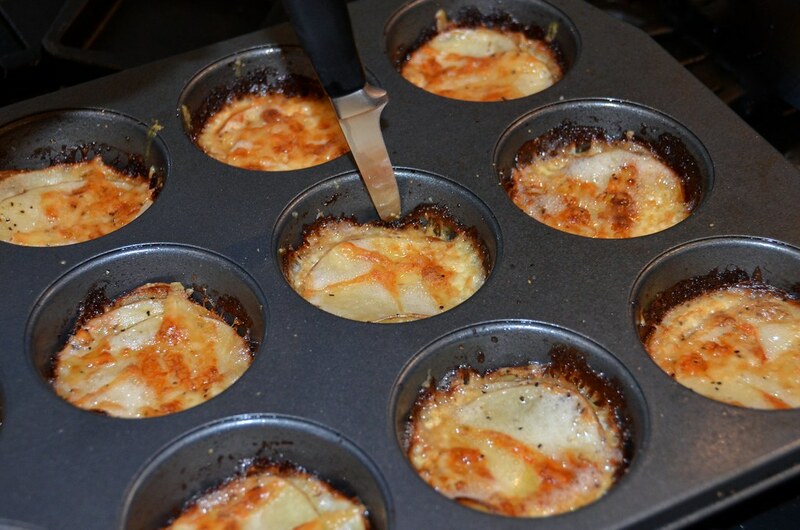 3 Responses to "Muffin Pan Potato Gratins"
Wow, these look PERFECT for the Egg, can’t wait to try them since scalloped potatoes and potatoes au gratin are some of my favorite sides. This and a little steak? Forget about it! Thanks a bunch for the recipe ! It was great ! My batch wasn’t as pretty as yours – I think I added too much cream. Darn. I’ll just have to try it again.